This is the definitive text for those engaged in commercial pre-emptive remedies. 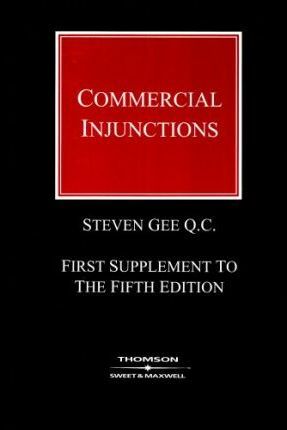 It provides a detailed treatment of the subject, and has been revised and rewritten in light of the Civil Procedure Rules and other recent developments in the law. Its comprehensive coverage includes all aspects of the law relating to commercial injunctions, including freezing injunctions and search orders. It also provides selected statutory material, precedents, rules and Practice Directions, Standard Form Orders and a comparative look at practice and procedure in New York. The previous edition was frequently cited in court, in cases such as S & T Bautrading v. Bertil Nordling (Court of Appeal), HM Customs & Excise v. Anchor Foods Limited (Chancery Division), and A/s D/s Svendborg and Others v. AWADA and Others QBD (Commercial Court). Introduction. History. Common situations for commercial injunctions. Discretion-general concepts. Freezing orders and commercial fraud. Anti-suit injunctions. Chattels. Breach of confidence. Search orders. Cross undertaking. Material disclosure. Practice and procedure for making ex parte applications. Receivers. Injunctions in aid of execution-garnishee orders and charging orders. Contempt. Third parties. Ne exeat regno. Without prejudice, privilege and waiver of privilege. Ancillary orders. Discharge, variation and appeals. Uses to which disclosed documents may be used or put. Appendices.